Mrs.Zuliana has been a high school teacher since 2004. Besides being a Physics teacher, she is also the head of school library. At the library, they have limited book collections, 98% of the books are textbooks. Zuliana hopes for books with different topics so that the students can have access to develop and gain other skills and knowledge. 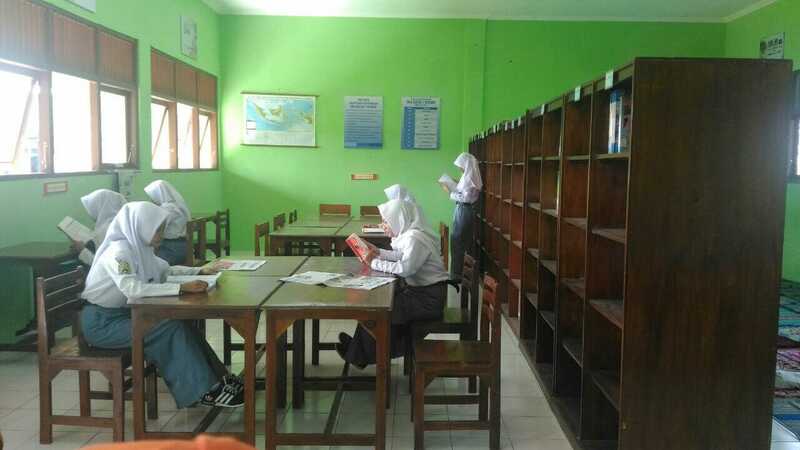 The Senior High School SMAN 1 Wedung is located in the coastal area, less than 1 km from the beach. Near the school area can be found many waste from the sea causing a bad smell. The school tries to manage this waste by creating vases, accessories for lamp etc. They even won a trophy from local government for this creativity. Through the eco-education program, Mrs. Zuliana hopes to get more reference for waste management and how to live sustainably. As local people are mostly fishermen, so they are not well educated and well informed regarding environment and nature. They still like to throw garbage not in the right place.